You are at that precarious point too. Where you have started looking for the other. When SurveyMonkey no longer dazzles you. Worse, it has started disappointing you. And you are hardly the only one. SurveyMonkey, undoubtedly, is one of the leading online survey tools there is. Simple, pretty, feature-rich, and with a freemium plan, it’s easy to love SurveyMonkey. Until that is, the other survey tools caught up with attractive alternatives. In this blog post, we’ll be discussing the SurveyMonkey alternatives and our verdict on each of the top alternatives available. To put it straight, SurveyMonkey is pretty good, but other options are definitely better. So why settle? With a non-existent learning curve, Google Forms is a universal favorite platform to collect data. 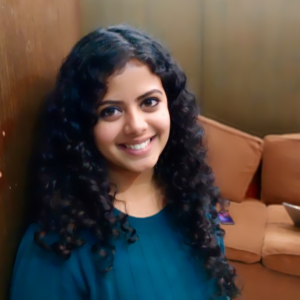 While a habil SurveyMonkey competitor, how good is good enough though? Apparently, professionals and corporates tend to steer away from Google Forms because of its rather limited applications. What makes it a good alternative: Free, easy, and simple! Very intuitive that virtually anyone can use the tool effectively. Also, it’s mobile-friendly nature is why the tool is an instant hit. Why it may not be all that great: An unappealing appearance is the least of its worries. Google Forms lack the very many features that make for an in-depth data collection and analysis. You cannot schedule and automate surveys, segment users, or email surveys to a mass audience if you go with Google Forms. In summary: It’s fairly easy, simple, and likeable. But if you need to delve deep into the data, good luck with another tool! 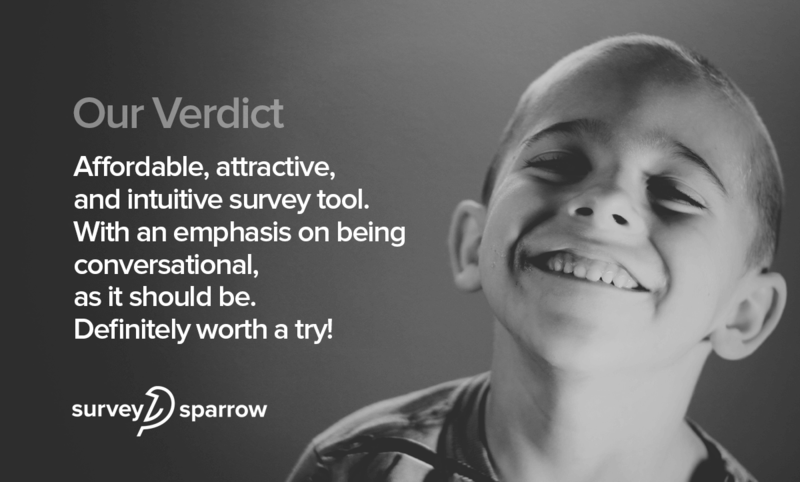 Slick, highly engaging, and mobile-first, SurveySparrow is the new player in the market. Barely a year old, they boast of an array of intelligent features, exceptional customer service, and loyal customers who swear by them! “This is a very young Saas company, but it is evident they are onto something here. 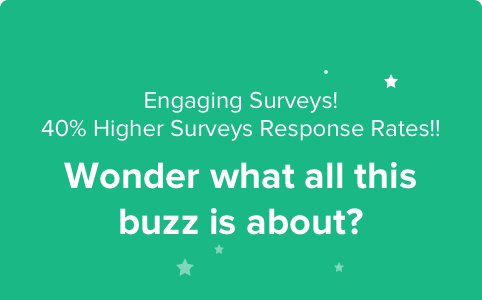 They are creating a survey tool with *engagement* being the highest priority, which if you think about it, is really the #1 thing that matters when using the survey method. Additionally, the backend UI is awesome, clean, fun and lightning fast. Finally, their support is super responsive and friendly,” says a glowing G2 Crowd review. 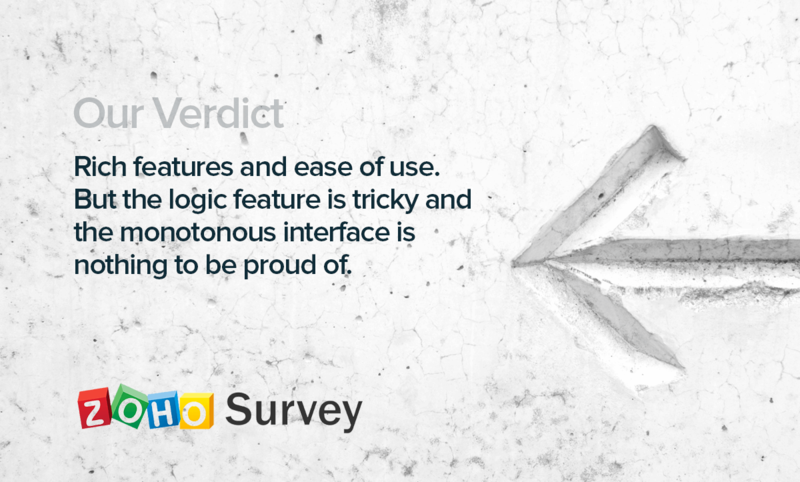 What makes it a good alternative: SurveySparrow has an engaging UI which promises a 40% higher survey completion rate. It is affordable, comes with attractive monthly plans, and hassle-free refund policy. 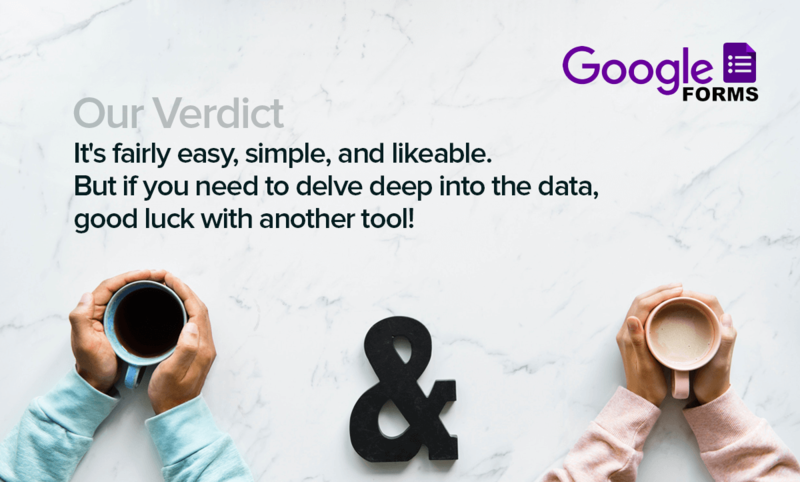 Moreover, its the world’s first survey tool with two outputs: chat-like surveys and conversational forms which you really need to try to know the difference! 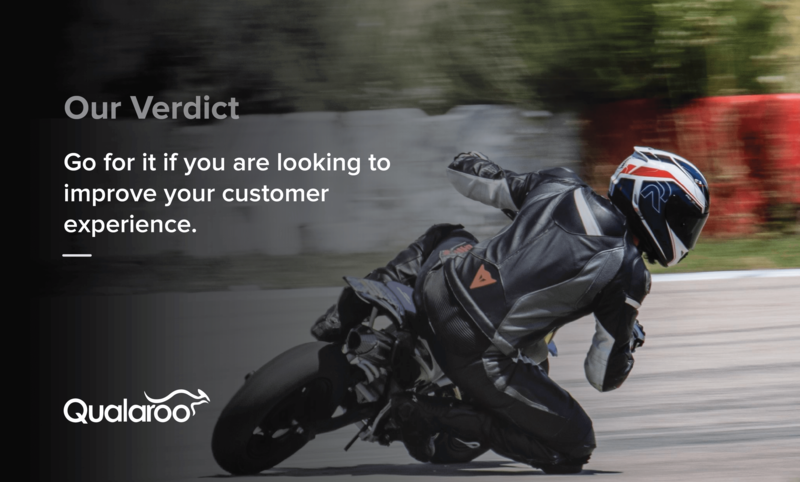 With the close-the-feedback-loop system in place, what more do you want in a SurveyMonkey competitor? Why it may not be perfect: A very young company, they are constantly updating and improving themselves to offer a wider range of features. SurveySparrow has only a limited array of question types which they promise will be sorted out soon. In summary: Affordable, attractive, and intuitive survey tool. With an emphasis on being conversational, as it should be. Definitely worth a try! With a clean design and interesting interface, Typeform is a popular SurveyMonkey alternative. Easy to use, Typeform comes with numerous possibilities. What makes it a good alternative: TypeForm offers one of the best UX there is. Easy to set up, and with fantastic analysis tools, Typeform is praised for how neat and clean it looks. Why it may not be all that great: Typeform is not what you’d call a feature-rich platform. You’ll also discover that their Customer Support is severely lacking. In addition, the pricing plans are quite steep and not what you’d call flexible. No scope for user segmentation, automated surveys, reminder emails, and built-in email share is other areas where Typeform fails to meet user expectations. 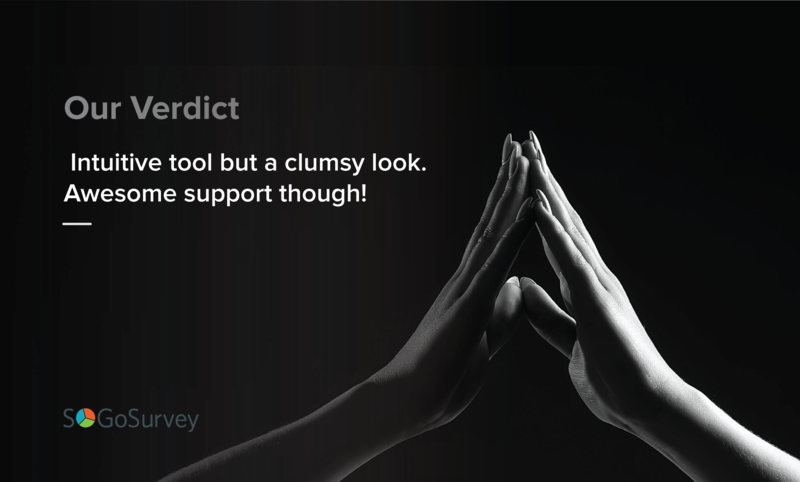 In summary: If you only want a good looking survey tool, look no further. Don’t expect great customer support though! Simple and easy-to-use, and versatile. They are also known for their reasonably good functionality. What makes it a good alternative: An array of features that, until recently, weren’t found in many of its contemporaries. Why it may not be all that great: Incredibly expensive, especially considering the slew of alternatives that do a better job than SurveyGizmo. Also, appalling poor customer service that the users warn other to stay away from signing up for SurveyGizmo. In summary: A disappointing combination of expensive plans and poor support. Not recommended. 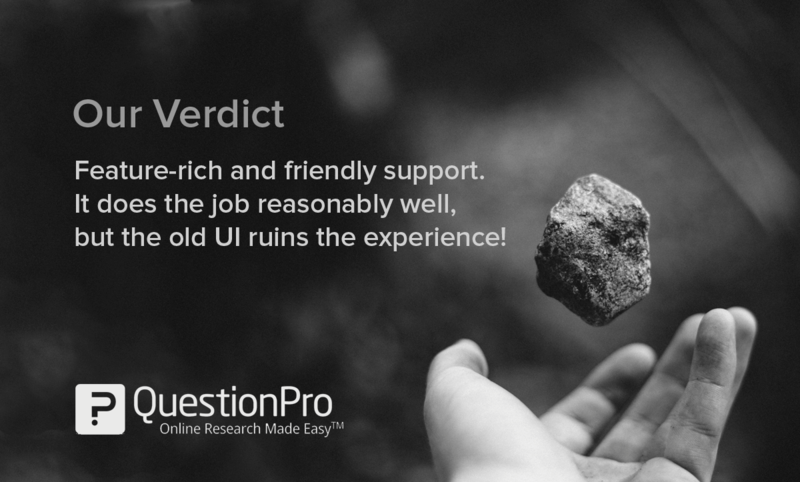 Novice or pro, QuestionPro is exceptionally intuitive to use. With great customer support, this tool also comes with a range of customizable options. What makes it a good alternative: QuestionPro is a sophisticated product for serious researchers. Tech assistance is available by chat 24/7, and the customer support personnel is thoroughly knowledgeable on the software, which is saying something. Why it may not be all that great: The interface is rather dull and very, very outdated when you consider the alternatives. Also, several users are discontent with the fluctuating prices that ruin their experience with this otherwise great tool. In summary: Sophisticated product with a dated look and feel. Good for researchers! Fairly easy-to-use and with decent looking forms that you can embed, JotForm is an attractive SurveyMonkey alternative indeed. 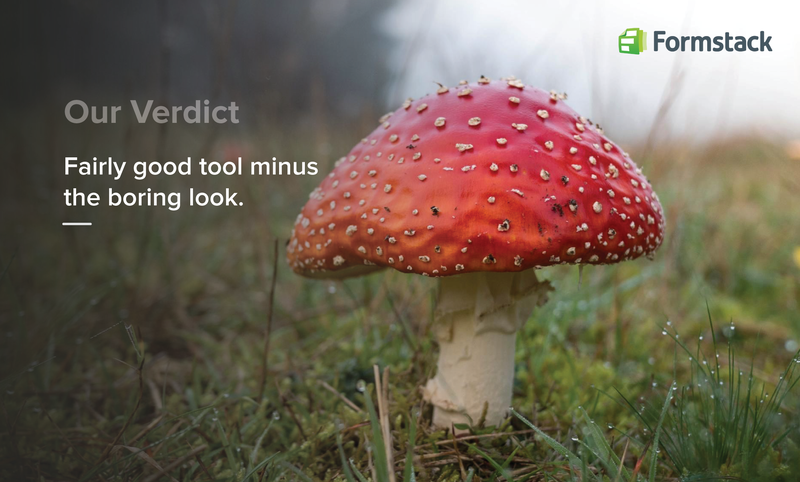 The tool is great for non-technical users with little learning curve. “Jotform provides professional, fast and easy forms. They are modern, customizable and work well within web pages…You can also customize colors!”- G2 Crowd review. What makes it a good alternative: Jotform is a neat SurveyMonkey alternative because of its ease of use and affordable pricing that embraces all users. It is especially appealing to non-techies! Why it may not be all that great: Doesn’t meet the support expectations, is what most JotForm users found. Which can get frustrating when you consider that most JotForm users have encountered at least minor bugs in it. JotForm tends to have too many glitches for a survey tool. 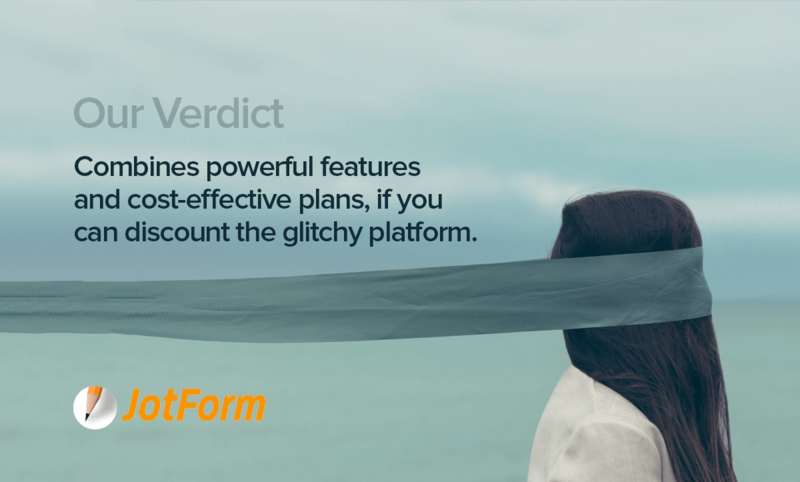 In summary: Combines powerful features and cost-effective plans, if you can discount the glitchy platform. Zoho Survey is a decent SurveyMonkey alternative. The customization option has many fans and the pricing plans are friendly. 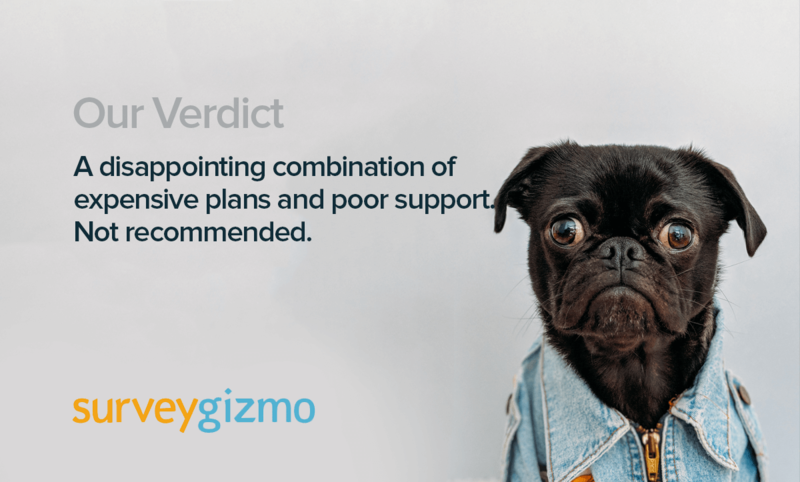 What makes it a good alternative: With more features than Google Form and easier to use than SurveyMonkey, Zoho surveys strike a desirable balance. Another key feature is the level of flexibility and control it offers its users. To top it all, Zoho Surveys integrates well. Why it may not be all that great: Zoho Surveys is a fairly friendly tool except for a couple of hiccups. The logic feature is very basic but puzzling. Compared to the rest of the tools in this niche, the logic feature seems quite silly. Plus, users tend to find the interface monotonous and boring to use. In summary:Rich features and ease of use. But the logic feature is tricky and the monotonous interface is nothing to be proud of. More a research tool than a survey tool, Qualtrics Research Core is one of a kind. It is ideal for research purposes when compared to SurveyMonkey and most of its alternatives. What makes it a good alternative: If you are doing a thorough academic research, Qualtrics is your best bet. 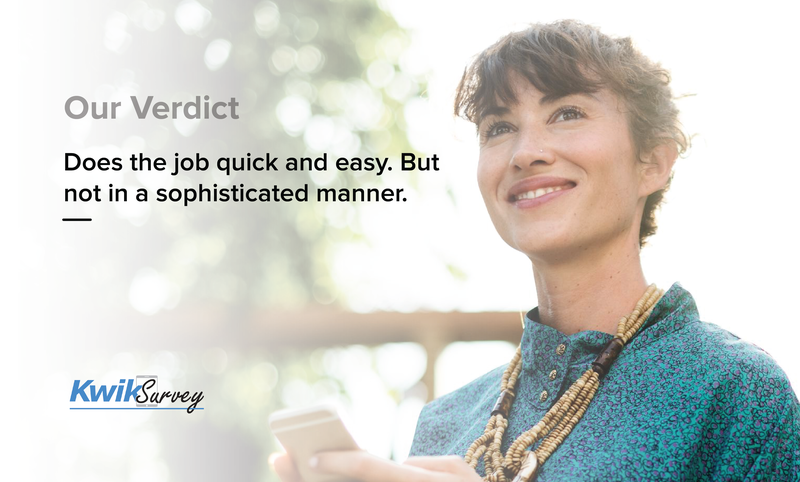 With an impressive question bank, it’s easy to create a professional looking survey with Qualtrics. One of the best tools available if you are focusing on research. Why it may not be all that great: When it comes to third-party integrations, Qualtrics is not the best option. It offers integrations with only a limited number of apps. It’s also annoying when you lose valuable data because they have no options to autosave survey responses. 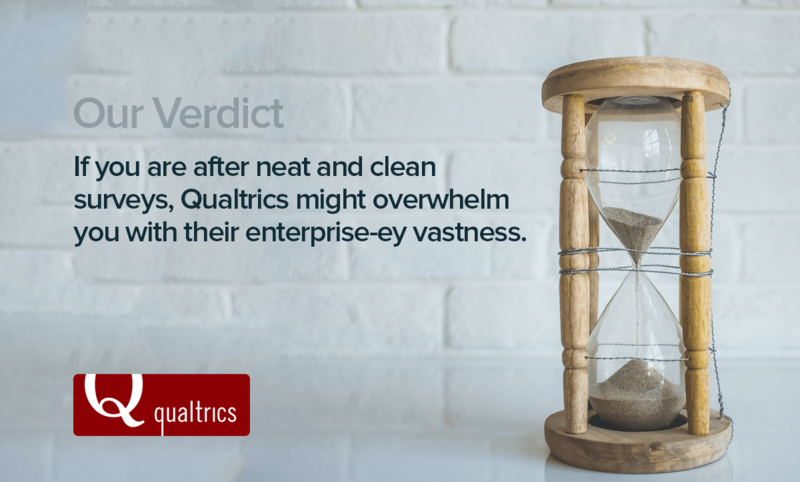 In summary: If you are after neat and clean surveys, Qualtrics might overwhelm you with their enterprise-ey vastness. AskNicely is an excellent NPS solution. Entirely simple and nearly everything a push button away, NPS surveys are easily set up with this solution. What makes it a good alternative: For an exclusively NPS solution, AskNicely does a great job. Extremely easy to set up, and with a great support team, they know what they are doing. Furthermore, they enable easy integration and lets you automate practically everything. 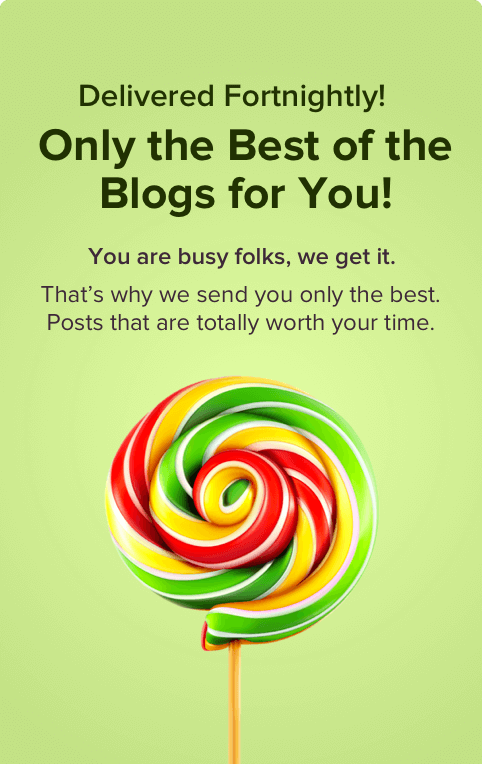 Why it may not be all that great: Help articles are a big disappointment, especially when one is looking to sort out a relatively complex feature. It’s tiring to experiment and find out that the help articles are pointless. In summary: AskNicely offers excellent NPS solutions. 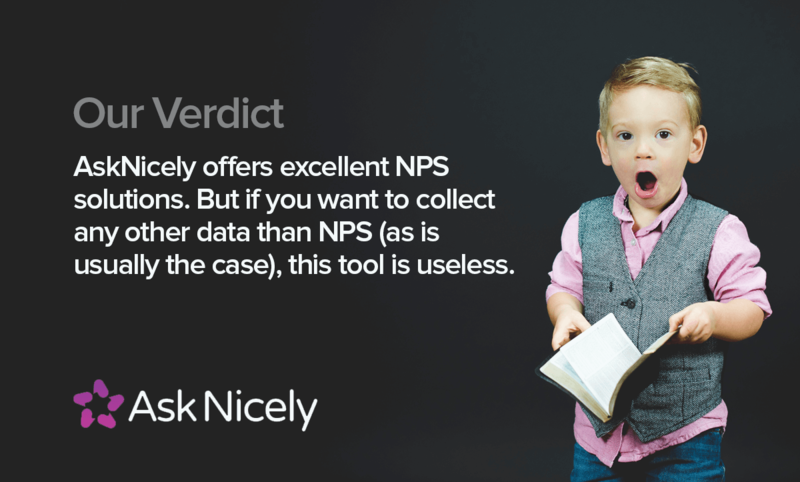 But if you want to collect any other data than NPS (as is usually the case), this tool is useless. 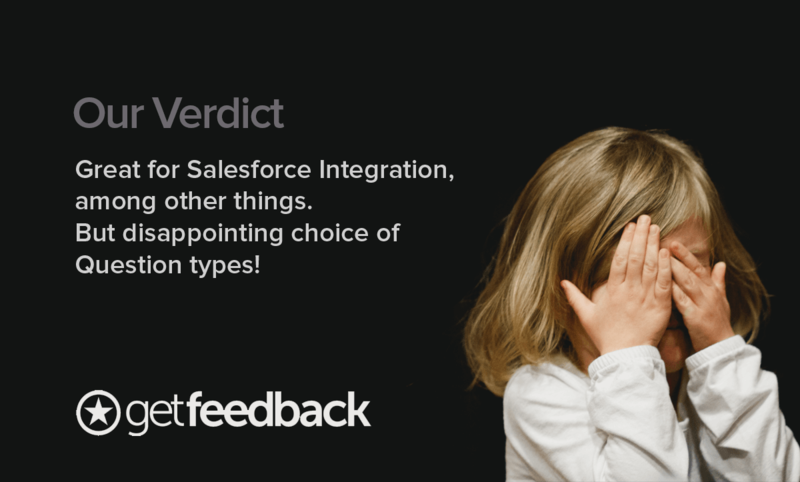 With a seamless Salesforce integration, Get Feedback is a good resource. However, while it does the job, it isn’t the best tool out there. What makes it a good alternative: Quick and easy to integrate, Formstack also offers an impressive set of templates to support its users. Why it may not be all that great: The limited features and question types is a major put-off. Also, users were disappointed with the tech support who were ineffective in solving even the basic, continual problems. In summary: Quick and easy, but with limitations. Serious ones! Novice or pro, Wufoo is exceptionally intuitive to use. Further, they are very customizable too. What makes it a good alternative: With affordable pricing compared to most of the alternatives, Wufoo makes for a good survey tool. Easy interface and the very many options to customize forms make it more attractive. Why it may not be all that great: When it comes to organizing all the surveys you have made into folders, Wufoo falls short. It also doesn’t let you segment audience, automate surveys, and share survey emails. 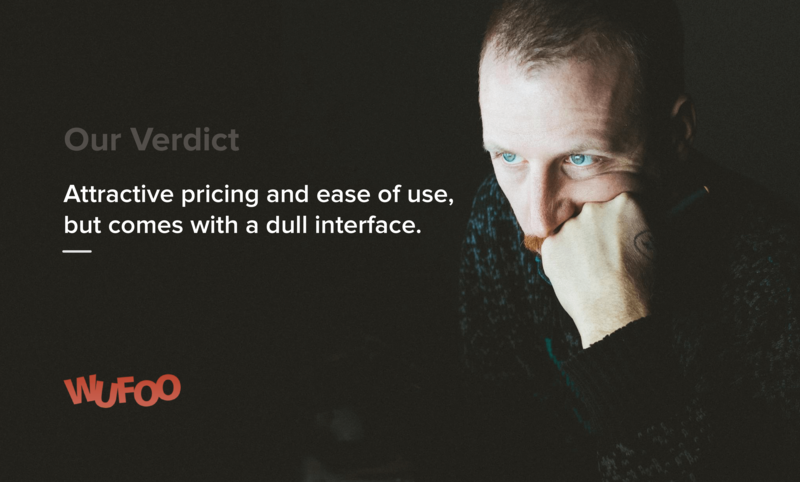 In summary: Attractive pricing and ease of use, but comes with a dull interface. With a broad range of uses, Formstack is a good resource. However, while it does the job, it isn’t the best tool out there. 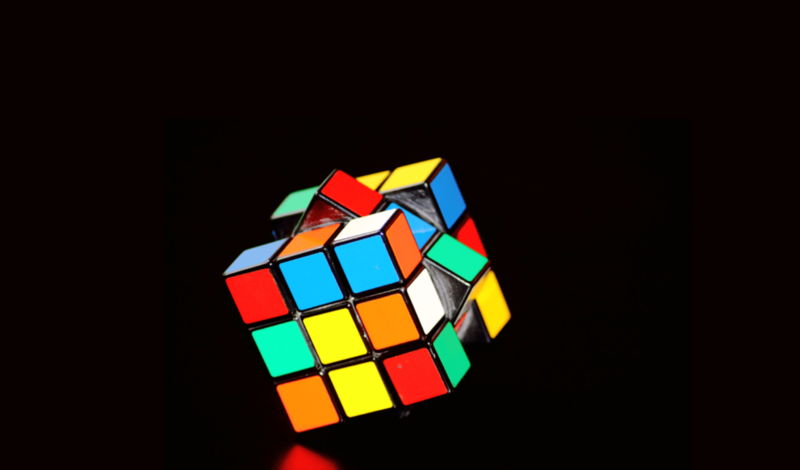 What makes it a good alternative: Highly customizable and easy to integrate, Formstack also offers a great FAQ collection to support its users. Why it may not be all that great: It looks dated and far from sleek. Users also found that intricate forms can take a lot of time to set up. Also, the templates turned out to be barely basic and not of top-notch quality. In summary: Fairly good tool minus the boring look. The new update doesn’t have many fans though. 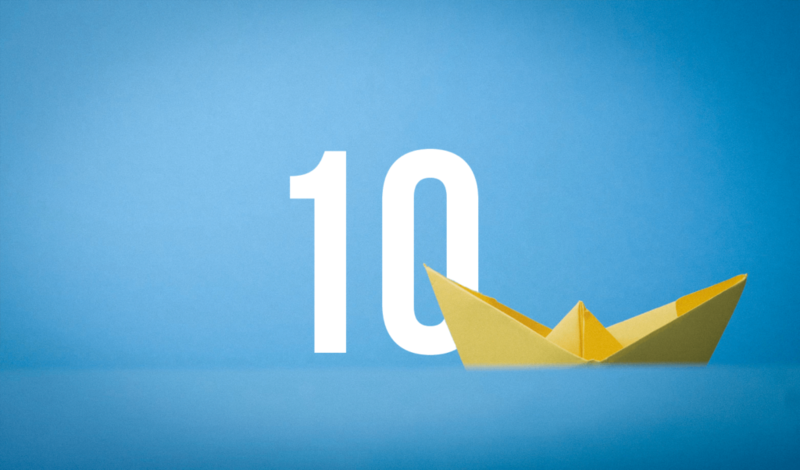 Qualaroo is more a customer feedback software than a regular survey software. A popular tool in this arena. What makes it a good alternative: Easy to build the micro-surveys, customizable, and intelligent branching. Your customer experience will on a different level. Why it may not be all that great: Limited analytics. You are more or less left to your own devices when it comes to reporting. In summary: Go for it if you are looking to improve your customer experience. Anything else, and you may need another SurveyMonkey competitor. 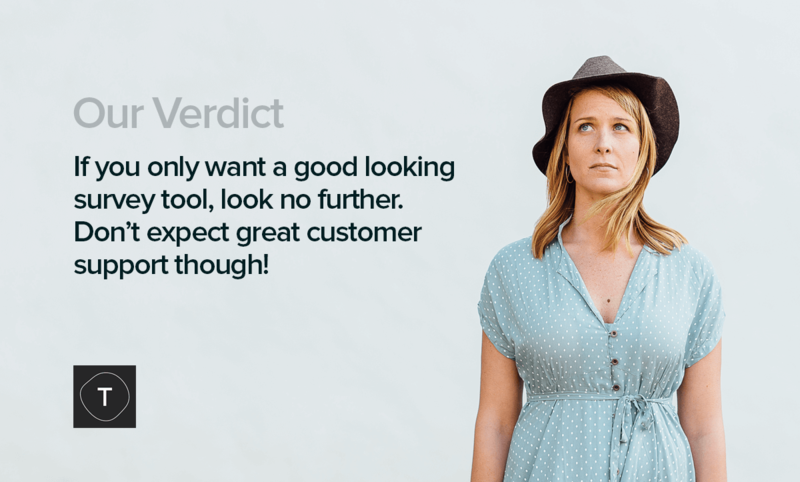 SoGoSurvey customers are raving about how intuitive the tool is and they are right. For a SurveyMonkey alternative, it has impressively accessible customer support. What makes it a good alternative: The tool is very easy to set up and the support is very accessible. It makes a good enough SurveyMonkey competitor. 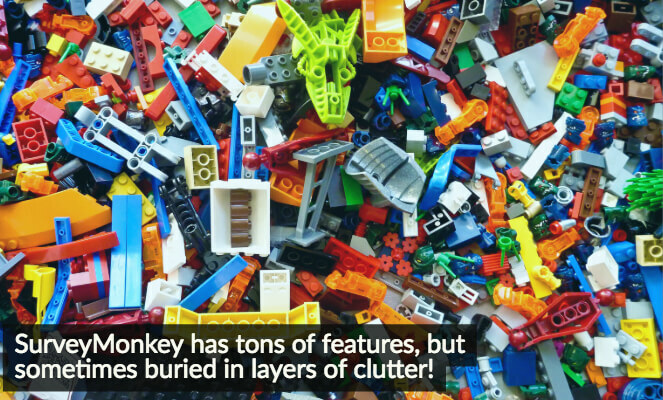 Why it may not be all that great: The interface is a little wonky and some functions are buried in clutter and hard to spot. The integration options aren’t very rich, either. In summary: Intuitive tool but a clumsy interface. Awesome support though! A simple survey tool with easy solutions. Kwik Surveys is popular for beginners but it is not entirely a competent SurveyMonkey alternative. What makes it a good alternative: It is a no fuss tool meant to make minimalistic surveys. You can whip up a survey in a matter of minutes as long as you don’t require any complex requirements. Why it may not be all that great: Customizing options are rather limited and the interface leaves a lot to be desired. Moreover, the pricing is rather steep. In summary: It does the job quick and easy. But not in a sophisticated manner. But, while we have examined each of these SurveyMonkey alternatives and compared how they fare, it’s only fair to look into why you should consider SurveyMonkey alternatives at all. What is SurveyMonkey? And why do we need SurveyMonkey Alternatives? Couldn’t have put it better myself! While this popular tool is mostly enough, it doesn’t exceed your expectations of what a survey tool ought to be. SurveyMonkey alternatives score in these areas that SurveyMonkey sorely lacks. Does it lack a ‘fair’ trial plan? Did you know that SurveyMonkey doesn’t let you try out the tool for free? SurveyMonkey users are quick to point out their indignation with its lack of a free trial. What is it with SurveyMonkey that do not let you glimpse at the ‘professional’ features? You can freely sign up for SurveyMonkey and use the basic plan where you get 10 questions and 100 responses for free. But that is pretty much all there is. Advanced features like logic are accessible only in paid plans and you need to purchase them first to know how they work. So if you insist on trying out the product fully before you decide on buying it, bad luck with SurveyMonkey, mate! Is the pricing worth what you are getting? When one is on the basic plan, it might seem that every other feature you actually need comes with a banner ‘upgrade to use’…! Since there is no free trial available, you’ll have to upgrade to a higher plan to use the desired feature. And if you didn’t like what you were offered, then tough luck, ‘cos SurveyMonkey has no refund policies whatsoever! Talk about rubbing salt to the wound!! Compared to other survey tools with almost the same features on offer, SurveyMonkey is way overpriced. For instance, SurveySparrow will cost you 50% less than SurveyMonkey, and that is with a plethora of additional features and monthly billing plans. Remind me why you are still stuck with SurveyMonkey? Feature-rich is great. But are they lost in clutter? SurveyMonkey offers a ton of features that its users widely appreciated. However, there is no denying that the tool is also clunky and cluttered with many of its best features hidden beneath all the layers. Moreover, the features and options scattered all over the place tend to overwhelm the users. What good is a feature if you cannot find it when you need it? Is it your (insert brand) survey? Or just another SurveyMonkey survey? SurveyMonkey is notorious for making every survey theirs. 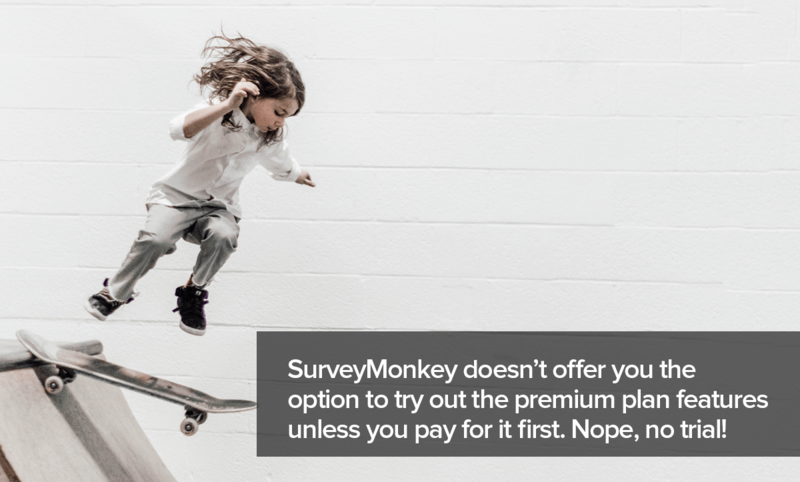 Even the premium plans offer little choice of customization and most brands are put off by the display of the big green monkey in every feedback form they ever sent out. “SurveyMonkey branding appears everywhere and is impossible to get rid of. The branding appears on the survey link URL as well as on the bottom of the survey itself. When completing surveys, trust is a huge factor. If people see a logo or brand that they don’t recognize – like SurveyMonkey plastered everywhere on the survey, they may not trust it and can cause them to decide not to respond,” says another G2 Crowd review. Why pay a small fortune and be someone’s billboard when you can pay half as much and make your survey your own? Most of the SurveyMonkey alternatives let you customize your surveys to reflect the feel and tone of your brand. With a Support that is almost never accessible? SurveyMonkey has a scandalous history when it comes to offering sub-par support to its customers. There is no phone support unless you purchase the platinum plan which is $1000+ for the year. And even with email support, hardly anyone leaves satisfied. SurveyMonkey seems to have never gotten the golden lesson of Customer Service: that news of bad customer service reaches more than twice as many ears as praise for a good customer care! Sad! Does it make you land in Spam? If you are out there to collect data and took pains to create a perfect survey, guess where it is that you do not want your surveys to fall? That’s right. The dreaded spam folder! This isn’t all that is inopportune with SurveyMonkey. With virtually no customer support, dated interface and many more, it’s a wonder SurveyMonkey remains as popular as it is today. Precisely why the scope of SurveyMonkey alternatives is quite vast. Now that you have an overview of each SurveyMonkey alternatives, you can go ahead and make your pick. Remember to choose the one with the most features, great support, and an engaging user interface that your audience will love.